ExoMars is split into two missions; the first in 2016, the second in 2018. The spacecraft’s creators are on a tight test schedule as there is only a narrow window of opportunity to reach the target. “To go to Mars you have to wait for the right conjunction of Earth and Mars, and taking into account the orbits of the two planets, favourable conjunctions only happen every 26 months,” said Richard Bessudo, another of the mission’s program managers. Once at Mars, the spacecraft will split in two, with the satellite staying in orbit as the lander heads for the surface. ESA hopes this test capsule will perform Europe’s first ever controlled landing on Mars. ExoMars 2016 will send back crucial information on how the lander performed. Meanwhile the 2016 orbiter acts like a giant nose, sniffing the Martian atmosphere for methane. The gas could be a clue to the possible presence of life. The 2016 findings will be vital to the success of the ExoMars rover mission, which is planned to be launched in 2018. Sending a machine to dig down into Mars is difficult and its very first hurdle is considered the greatest:- landing safely. 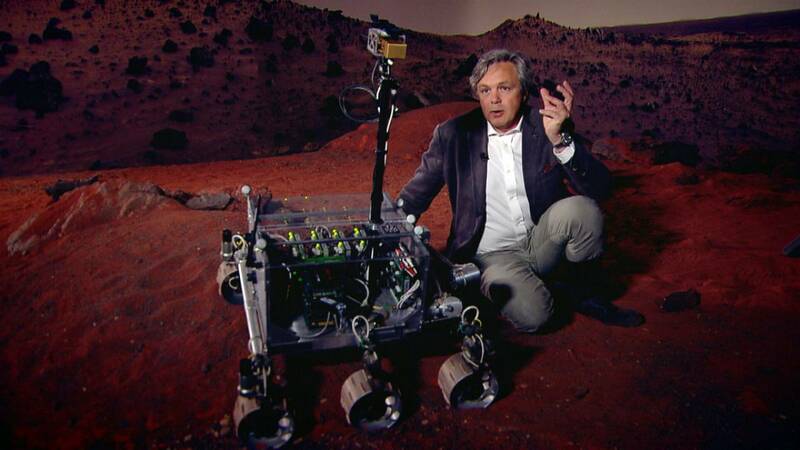 Then the ExoMars rover will need to gingerly find its way around. The rover will aim for a landing site halfway between the Martian hills and the low-lying plains. It will look for places where water should be below the surface, and then it will drill down up to two metres. NASA’s Curiosity rover has confirmed the habitability of Mars. So ExoMars will search for fossilized evidence of microbes, and hunt for traces of organic molecules. Jorge Vago said Mars secrets will be revealed at a microscopic level. The ExoMars mission could settle that beguiling question by the end of the decade.